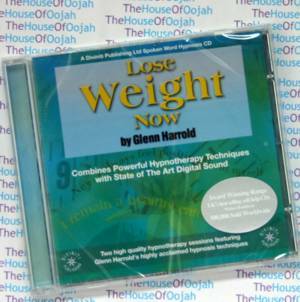 A superb, high quality hypnosis program by Glenn Harrold, the UK's best-selling self-help audio author. After being safely guided into a very deep state of complete mental and physical relaxation, you will be given multiple suggestions to release any need or desire for sweet, fattening food and feel good about eating smaller amounts of healthy food instead. This high quality recording, utilizing skilled hypnotherapy techniques, also helps you break any past negative associations with eating and dieting. By taking full control of your eating habits, you will begin to lose weight the best way possible, slowly and steadily. You will also feel motivated to exercise more and to remain a healthy eater forever, even after you have reached your target weight. Glenn did not have the easiest start in life. From the age of 12, he often slept rough on the streets. Expelled from school at 15, Glenn fell in with the wrong crowd, and experimented with drugs and alcohol. After a health scare and a warning from a doctor, he took the necessary measures to free himself from his old destructive ways. Now in his mid forties, Glenn is a non-smoker, vegetarian and drinks only the occasional glass of wine. He plays tennis, practises yoga, swims, and uses self-hypnosis and meditation to achieve his goals. Before becoming a hypnotherapist, Glenn turned to music, and was a performing and recording musician who made his living playing guitar in bars and clubs. In his teens as a punk rocker he played bass guitar in a band called The Vagrants, who morphed into the Sugar Ray Five. In 1983, they won £10,000 in the BBC 1 national Battle of the Bands. They were then signed to a major label, released a few singles and appeared on various TV shows, but their brush with fame was brief).